Celebrity Apex is the second of four new cruise ships that will debut under Celebrity's Edge Class moniker. Apex will launch in spring 2020 and will feature several innovations debuted by its sister. 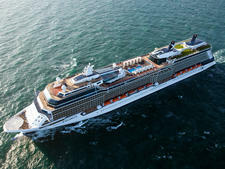 Among those first-at-sea features will be a movable deck cantilevered off the side of the ship; cabins with "infinite" balconies designed to blend indoors and outdoors with bi-fold doors; and a Resort Deck, which features a large pool flanked by sculptural trees and two "martini glass" Jacuzzis that overlook the deck below. 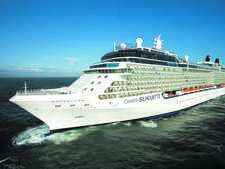 Measuring 117,000 gross registered tons, Celebrity Apex and its three sister ships will have a double passenger capacity of 2,900 people, making them larger than the line's Millennium-class ships but slightly smaller than the Solstice Class. 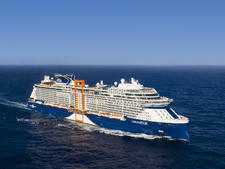 All four ships are being built at the STX shipyard in France. The two yet-unnamed ships will launch in fall 2021 and spring 2022. 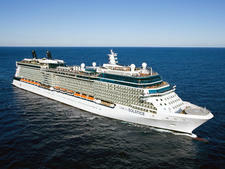 Perhaps the biggest wow feature on Celebrity Apex will be a movable deck, which Celebrity calls "the Magic Carpet". (This will debut on Celebrity Edge.) The tennis-court sized deck is cantilevered off the side of the ship and can move up and down, from the bottom at Deck 2 and up to Deck 16. Its function will vary depending on which deck the Magic Carpet has been placed. When stationed on Deck 2, the Magic Carpet will serve as a throughway for passengers getting onto and off of tender boats, as they will be able to walk directly from the ship onto the Magic Carpet and then onto the tender without any need for ramps or stairs. 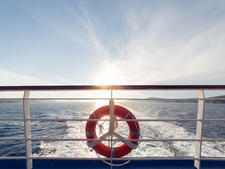 This will make it much easier for mobility challenged cruisers to get between the cruise ship and the tenders. When not in use for tendering, the Magic Carpet will be stationed either on Deck 5 as an al fresco extension to a raw bar restaurant with seating up to 100 diners, suspended over the sea; or on Deck 14 where it will serve as a location for happy hours and late-night parties. At dinner time, the Magic Carpet will become an alternative restaurant on Deck 16, with a theme that changes daily. 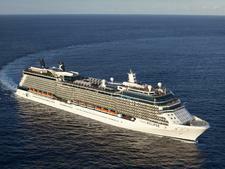 One night passengers might be treated to a lobster bake, the next bubbles and barbecue. At no point will passengers be permitted to "ride" the Magic Carpet when it's moving between decks. 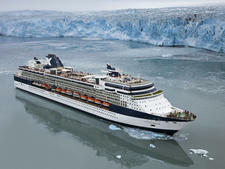 Celebrity Apex will feature the same cabin classes that debuted on its sister, as well as cabins for solo travelers. Infinite Verandas make the balcony a part of the overall cabin, thanks to bi-fold doors that can be either completely closed creating a true balcony or left open, creating a sunlit indoor space that adds about 23 percent more space to the room. The balcony features a floor-to-ceiling window that can be opened when the bi-fold doors are closed -- again creating the "real" balcony feel. When the bi-fold doors are open and the window is closed, the entire section is air-conditioned, giving passengers an expansive view of the outdoors with the creature comfort of A/C. Apex will have 918 Infinite Veranda cabins, including 16 single-accommodation rooms, the first time Celebrity has catered cabins specifically for solo travelers. No other non-suite cabins have been revealed, but the line has said all double occupancy cabins will feature king-sized beds with cashmere bedding, while the single occupancy Infinite Veranda rooms will have queen beds. 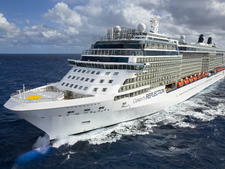 New door lock technology in the rooms will enable cruisers to open their cabin doors using an app on their phones. 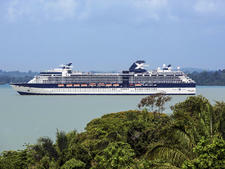 Celebrity also revealed two new suites, as well as an exclusive suite enclave called The Retreat. The largest of the two new suite categories will be the two Iconic Suites, each coming in at more than 5,000 square feet. Both will be located above the bridge, facing forward, giving occupants the same view as the captain. Iconic Suites have two bedrooms and 700-square-foot balconies placed over the bridge wing; balconies will have private Jacuzzis and cabanas. The two Iconic Suites are mirror images of each other. 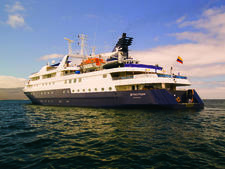 The Retreat, which will be free to use but only be available to passengers staying in suites, includes a private pool and sundeck, lounge and restaurant. The lounge will serve breakfast and host a happy hour daily. A total of 12 percent of cabins on Celebrity Beyond will be suites -- an increase of 7 percent over the line's Solstice class. The line has revealed little about Celebrity Apex's public spaces, but we do know the pool deck, referred to as the Resort Deck, will be located on Deck 14 and was designed by British architect Tom Wright. 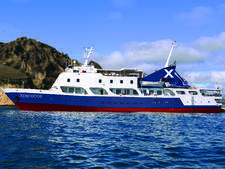 It features two-story windows, with chaise lounges positioned about them facing out to sea. The deck's large pool is flanked by sculptural trees and two "martini glass" Jacuzzis that overlook the deck below. The Resort Deck will also feature six oversized, private, for-fee cabanas. Not far from the Resort Deck, The Rooftop Garden, is a unique space that combines the popular top-deck Lawn Club found on the Solstice-class ships with the Rooftop Terrace that is so popular on Millennium-class ships. The Rooftop Garden is an area filled with live greenery inspired by childhood playgrounds. 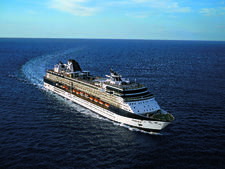 As with all other Celebrity ships, Celebrity Apex will feature an adults-only Solarium. Celebrity hasn't revealed much about Celebrity Apex's dining venues, but we do know about a couple of specialty venues. Within the Rooftop Garden will be a Rooftop Garden Grill, a for-fee alternative eatery, which will serve gourmet burgers during the day and transform into a swanky barbecue joint at night. 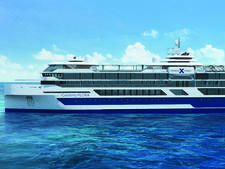 Celebrity Apex will be named in Southampton in the spring of 2020. 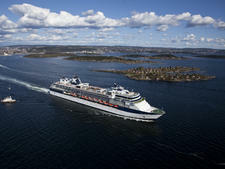 Following the naming, the ship will sail a mini-season of five cruises to Northern Europe from Southampton, including to the Norwegian Fjords and a 10-night Capital Cities journey that stops in Amsterdam, Copenhagen, Oslo and Paris, among others. 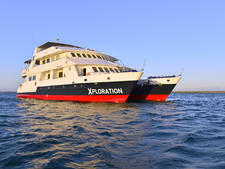 Following these five sailings, Celebrity Apex will spend the rest of its inaugural summer sailing seven- to 12-night itineraries in the Mediterranean.